Fila is an iconic Italian fashion brand, as noticeable and iconic as Kappa. From the very beginning, Fila has designed sports and fashion apparel worn by influencers across the world. With unique materials, custom colors, engineered technologies and great style, Fila continues to impress. One of the sports that Fila became known for dominating gear-wise is basketball. These shoes, the 96 model by Fila, has all of the classic features that the classic basketball shoes by this brand tend to hold. They have supportive features and a level of cushioning that is almost out of this world. A basketball shoe that doesn’t provide the ankles with support is like a fish that can’t breathe underwater; it rarely happens. The extended opening of this shoe covers the ankles just the right amount so that they are protected from breakage on and off of the court. A shoe that has comforting features such as this one is very rare. Aside from the upper of this shoe, the sole unit also does a great job of giving the wearer all that they’d need in order to really take in a high level of comfort as well; the EVA material that was used in this area makes sure of this. If you’re looking for a quick and easily replaceable pair of basketball shoes to wear, look no further than the 96. The classic design and the support that it provides makes sure that the wearer has all that they need in order to conquer any court that they step foot on. 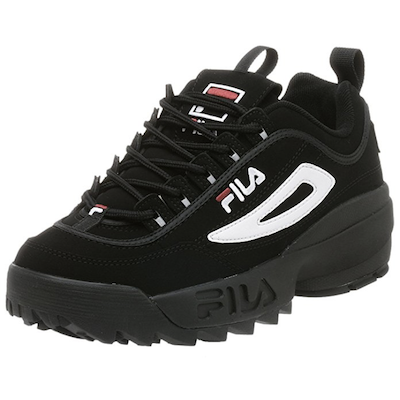 The SE Disruptor by Fila is a Disruptor model but, has several unique, somewhat nuanced changes that set it apart from the likes of the previously mentioned model. For starters, this is designed for those who really want to get into the nitty-gritty activity. For those who are extremely active and tend to mess their shoes up during said activity; this shoe is for you. With the outstanding level of durability and the cushion that is present so as to make sure the feet remain comfortable during the whole of the experience while in the shoe. The Disruptor SE is one of those trainers that can’t help but provide the feet with what they’d need in terms of longevity. The hardened rubber sole unit and the leather make of the upper both work to ensure that this is a shoe that lasts for extended periods of time without opening the wearer up to any type of issue in the way of functionality or lack of flexibility on any terrain. Fila made sure to imbue the Disruptor SE with an EVA midsole which, as we all know, is a material that can’t help but provide one with an outstanding amount of comfort. EVA manages to conform to the shape of the wearer’s foot quite easily and provide the wearer with what they’d need in order to maintain the level of activity that they partake in regardless of where it takes place. As one of the most inexpensive shoes on this list, the Disruptor SE manages to strike the nail on the head in terms of value. It has a list of features that go above and beyond what the wearer needs and justifies the price point, or selling price of the materials to a T.
When working, it is especially important to make sure that you have on a shoe that will both protect and provide comfort to your feet; the Memory Workshift by Fila does just those things and more. From the slip resistant sole unit, all the way to the upper which is built to ensure that the wearer has protection from the dangers of their work environment, the Fila Memory Workshift is built with the foot in mind. The first thing that one notices when they look at this shoe is how dense the upper is; it literally has overlay upon overlay in place to make sure to provide the wearer with what they need in terms of protection from potential hazards in whatever work environment that they’re in. Let’s not forget that the sole unit in this model is also incredibly slip-resistant and will definitely keep one from falling when they’re performing any type of labor. Now, the upper on this shoe has already been stated to be incredibly layered. The thing to keep in mind with this is that the thick upper that’s featured on this shoe also works to give the wearer what they’ll need in terms of durability and does so because of the fact that it gets pretty difficult to eat through layer after layer of material that is on the upper of a shoe. To this same point, The sole unit of this shoe, on top of being slip-resistant has a very difficult time wearing down. Do you know what this means for your pair? You won’t have to constantly look to get them repaired or more likely than the first suggestion, buy replacements. 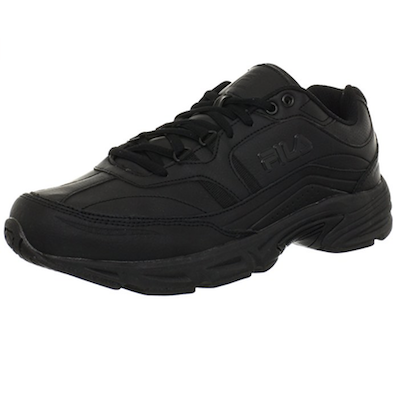 As is the nature of Fila shoes, the Disrupter Se will definitely make for a cost-effective a cost-effective purchasing option. It has all of the features that Fila shoes require and is available at a price that makes it an incredibly viable option for footwear. Things such as the shoes inherent ability to provide the wearer with incredible levels of protection or to last despite being used in work environments allow this shoe to give value to the wearer’s feet. Some of the designs that Fila has are of the “different” variety; the Fila Disruptor 2 is one of those designs. The thick sole unit and the alternative fabric on the upper really makes this shoe stand out from the herd. For those who are looking for a shoe that they can go out and conquer various terrains as well as add a bit of pizazz to the wardrobe with, the Disruptor 2 may be the best choice for purchase. The first thing that must be mentioned about the design of the Disruptor 2 is the fact that it has several stylistic elements that allow it to function in almost every way for the wearer of the shoe. The upper of this wonderful shoe typically comes fashioned out of suede material which, is something that definitely sways from that which is typical for fashion shoes. Then when one looks to the outsole of this shoe, they see the thickness with which it was constructed. The wonderful addition of the thick outsole of this shoe will make anyone stand out at any event that they wear the Disruptor 2 (get it?). That thick rubber outsole on the Disruptor 2 definitely helps it stand against the tests of time and provide the feet with a reliable source of protection for their feet. That isn’t to say that this shoe should be worn to all events but, it does mean that the sole unit on this shoe won’t wear down easily and will consistently be there when the wearer needs it. On top of this, the upper on this shoe is incredibly thick and designed from leather which means that it will give the wearer plenty of wearing time as well. The cost of the Disruptor is roughly midway, which means that it does everything but dig into one’s pockets. When this is considered alongside the durability that is present in the design of this shoe, it makes it painfully obvious the level of value that it will work to provide on a consistent basis; not to mention that, above all else, they are one stylish pair of sneakers making them the best value in our guide. 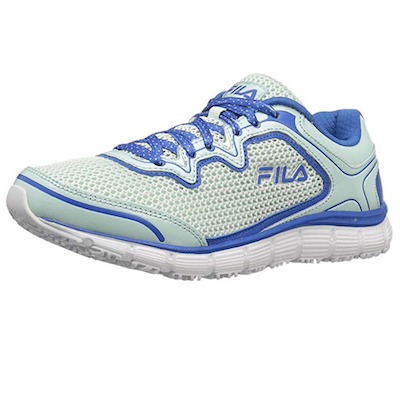 The Memory Fresh Start by Fila is another one of those shoes that’s made for that individual who is always on the go. Jam-packed with durable materials as well as fitted with a comfortable design, the Fresh Start never ceases to amaze the individual whose feet dons them. Designed for use by those who just need a comfortable shoe that won’t break the bank, the Memory Fresh Start has a little something for people of all walks. The name of this shoe tells one a lot about what they may be able to expect from this shoe in regards to comfort. The Memory Fresh Start has a midsole designed from Memory Fresh foam which allows the shoe to consistently conform to the shape of the wearer’s foot and takes away some of the need for constant use of insoles within the shoe. In addition to this, the shoe has tons of supportive systems in place which lengthens the length of time that the wearer can move while in the shoe. In addition to the plethora of comfort that’s provided by this shoe, the Memory Fresh Start is also a relatively attractive style of shoe. From the sole unit to the entrance near the heel, this shoe makes work appear fun. It comes in a variety of colorways and has a rather sporty look. As one of the more inexpensive shoes on the marketplace, the Memory Fresh Start is designed for those who need a shoe to wear on a regular basis but, that they know won’t break the bank whatsoever. Both the level of comfort as well as the durable materials that were used in its design makes the purchase of this wonderful shoe one that most won’t regret. The Original Lea classic. Where can I start? 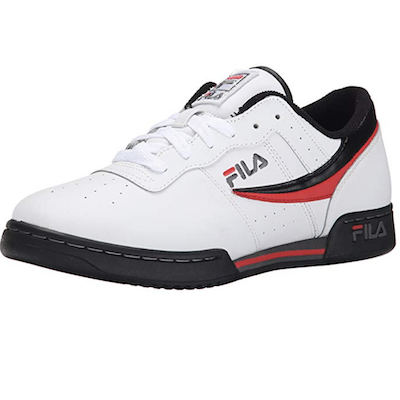 It is the classic model of the Lea shoe designed by Fila. 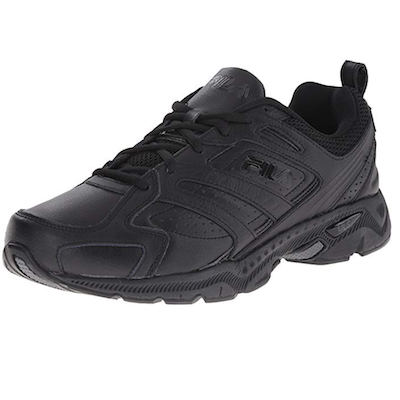 The shoe doubles as both a stylish and fitness sneaker all while keeping that initial Fila air about itself. The Fila Lea is judged on both the classic style that it holds and the versatility which allows it to double as a functional running shoe and a stylish pair of kicks that can be worn almost anywhere. The title of the shoes really says it all; they serve the function of being both athletic and fashion shoes. Athleticism is simply something that is praised by the design of these shoes. From the cushioning, all the way to the flexibility that it provides, these shoes really give the wearer what they’ll need in all sporty aspects. Not to mention the fact that the sole unit of these shoes works to give the wearer grip in the form of the outsole unit of the shoe. Now, don’t forget that these shoes also function to provide the wearer with a fashionable design that simply lasts and manages to do so almost effortlessly. The Fila Lea has the typical Fila swoosh but, manages to switch it up quite a bit. From the slick leather material of the upper, all the way to the contrasting colors of both the sole unit and the Fila logo, this shoe has a look that simply doesn’t go out of style easily. When the fact that this shoe is worn on a regular basis and initially dropped about 20 years ago, sinks into your head, the style that this shoe becomes painfully evident. Fila makes and sells their shoes at an incredibly reasonable price point. Many of their shoes are incredibly versatile and the same goes for this model. This shoe has all of the makings of one that will fill all of the needs that the wearer’s feet have; from the road to the club, the Lea will provide. Now it’s time to switch it up a bit with a shoe that is designed strictly for running, literally. The Capture by Fila has the materials which give it that look that everyone simply needs from their shoes. From the support in the sole unit, all the way to the stability features in the upper of the shoe, the Capture is designed to be optimized for those runners who are seeking a level of functionality that is present on both indoor and outdoor terrains. The DLS foam in the midsole of the Capture really does a great job of conforming to the contours of the foot and providing the wearer what they’d need in terms of support. Also, the fact that Fila provided a higher than normal stack height for this shoe also works to keep this neutral running shoe providing support for the entirety of one’s run. Another great feature of this shoe is that it continually provides the wearer with what they’d need in terms of durability. That midsole just keeps providing the wearer with a cushioned feel because of the DLS foam and the fact that, much like, the denser foams on the market like PU, it works to give the wearer what they’ll need in terms of durability for years to come. Not to mention the fact that this shoe is designed from an incredibly dense leather; and as we all know leather just has the habit of not ripping very easily or at all really. The price on the capture just can’t be beaten, by like, anyone. The Fila Capture sells for a price that really does make it’s purchase well-worth it; considering the fact that the shoe will have a hard time coming apart and is extremely comfortable, it just doesn’t make much sense to not add this shoe to your arsenal. 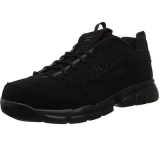 The Fila F-13 is a boot designed by Fila that goes beyond the norm when it comes to either class or style. This boot has all that anyone would need in terms of durability for those strenuous excursions through trails while also being flexible enough to be worn casually for those who simply need something to wear for an outing. The great thing about these boots is that they have that classic Fila look despite being designed for heavy-duty use. They have the symbolic swoosh on the side which allows them to stand out from all other brands and come in a few colorways. Even though they were designed for use during hiking activities, their classic look allows them to wear casually and makes it so that they can be paired with various types of clothing with ease. Think about it, these boots were designed for use for hiking trips. That signals that they are going to be a bit on the heavy duty side of things and, that they are. The F-13’s have that solid rubber outsole unit that protects them from damage when being used on a trail. On top of this, the hide that’s fitted to these beasts keeps them from being ripped apart by stray branches or a misstep that may occur while the shoes are in use. The lacing on these bad boys is even designed to stay in place while the shoes are being used and take away from any worry that the wearer may or not experience about them fraying easily. The best thing about these shoes is that they sell for a price that is well below the price that is expected of them. The price tag on the F-13’s makes purchasing them nothing short of worth it, especially when the durability and stylishness of the overall design of these bad boys are taken into account. For a shoe that provides both ease of entry and removal, look no further than the Fila Headway 6. This shoe has pretty straightforward design and features that make it a joy use them. From practicing on a road to going hard in the Gym, the Fila Headway 6 makes it incredibly simple to perform regardless of the location. The first thing that’s noticed about this shoe is the fact that the entire upper design is highly cushioned from the tongue to the midsole section, cushioning is in place to ensure that the foot has everything that it needs to enjoy a comfortable stay while in the shoe. The overlays on the upper of this shoe also keep the foot snuggly in place and reduce much of the movement that would’ve otherwise been experienced by the wearer’s foot. In terms of responsiveness, that midsole cushioning definitely does a heck of a good job conforming to the pattern of the curves of the wearer’s foot. The midsole of the Headway 6 is designed from an EVA foam which, again, is one of the best materials on the market in terms of shock absorption and energy redirection. The responsive nature of the material in the midsole of this shoe also make it a great choice for those who are looking for a shoe to walk around in on a regular basis. One of the things that Fila is famous for is designing high-quality shoes and then sticking a low price tag on them. Again, the same goes for this model; it has tons of comforting features, all for sale at a price that is anything but fair, to Fila. Fila finally decided to do something funky with a pair of shoes that they designed. The Fila Skeletoes has a design which does nothing but provide a natural fit and feel to the wearer’s foot. The comfort and flexibility of this shoe is something that’s really out of this world. With that, this shoe would work wonders for those who are seeking something to wear for activities in the weight room or even just to do some light jogging in. What’s more comfortable than running barefoot in a non-hazardous area? Running with a pair of shoes that have one of the most minimalist designs on this planet on your feet, that’s what. The Skeletoes by Fila have a minimal midsole and have individual sections for the digits on the feet, which makes for an awesome level of comfort to be achieved by the wearer’s foot when the shoes are in use. The individual sections for the toes and the minimal design of the sole unit really does work to give the wearer a high range of motion when in use. The thin mesh upper on this model of the shoe is also incredibly thin and allows the foot to move much easier than many other models on the market. For shoes that can serve such a vast array of purposes as the Skeletoes, they have an incredibly low price range. The freedom that these shoes open the toes up to really does make these shoes quite the steal for most runners. Not to mention that they are used for many different types of activities. One of the most important qualities of a shoe to pay attention to when shopping is the materials that it’s designed from, and for good reason. The materials that the shoe is designed from signals the longevity that the shoe model will have and, in turn how frequently the shoe will need to be replaced. A shoe that needs to be replaced often due to bad craftsmanship is not one that someone would want to purchase! Rubber outsoles tend to be thicker and more wear resistant than that which is typical. Many shoe designs nowadays have this as part of their design and for good reason. On that same note, many shoes also make good use of varying degrees of density in the rubber that makes up their outsoles. Ie. blown rubber, hardened rubber, etc. 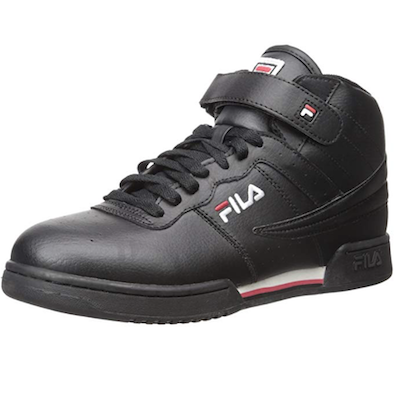 Fila is known for making the uppers of their classically-styled shoes from a leather material that, manages to give wearers what they’d need in terms of durability and wear protection. Whether it’s a shoe that is designed for solely hiking purposes or a shoe that is designed for those who play basketball, it’s important that the shoe’s design has the qualities that the wearer will need in order to succeed in those fields. Fila makes sure to design their shoes so that they provide optimal functionality for whatever area that they are designed for use in. Whether that’s simply so that one has a fashion model of shoe that stands out in a crowd or a shoe that can function during several types of activity without breaking down or needing replacement; these shoes have got you covered. These shoes tend to have a bit more support on the sides of the foot as well as general work to maintain a bit of structure in their design. Many basketball shoes also have higher traction in their sole units so that the wearer is able to perform to the best of their ability when they are used for their intended sport. These shoes are exactly what their title suggests, fashionable sneakers. They tend to be made from extravagant materials and have cuts that stray past that which is considered typical by many. These style shoes manage to maintain a high level of durability because they’re heavily layered throughout. The outsoles on shoes of this type are also on the thicker side and have a grip that can be considered nothing short of out of this world, usually. Running Shoe: Running shoes are shoes that can really be worn anywhere but are designed to perform their best for those who love to run. They have lightweight frames and, depending on what they are designed for, tend to stay on the flexible side of things during use. 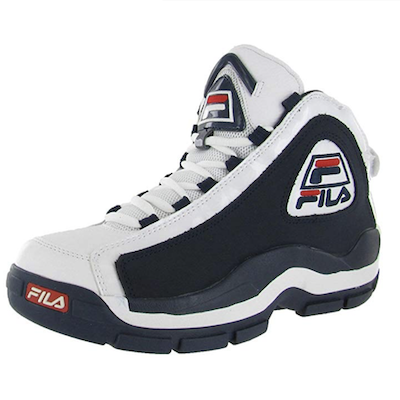 Fila is known for several of the technologies that they incorporate into the designs of their shoes. Below is a list of the technology that allows a Fila shoe to do what it does. There are several variations of EVA cushioning, but nothing beats the feeling that is gained from that which is original; EVA foam is known for providing wearers with a highly cushioned feeling during runs, or even when taking a walk. EVA, or Ethylene-Vinyl Acetate, is a closed-cell foam that provides ample cushioning without feeling “pillow-like”, which is a good thing for those who need a shoe that will allow them to perform. A shoe with a memory foam insole is a shoe that will consistently provide comfort for its owner. Memory foam is a technology which, just like the name suggests, provides wearers with a cushioning that conforms to the shape of the wearer’s underfoot and stays that way. Fila has various models with this technology incorporated into their design, which is why their shoes are known for being so far to the comfortable side for shoe ware. This beautiful technology constantly cushions the foot of the wearer and has moisture-wicking properties, as well. The material is designed to redirect the moisture of the foot and keep the wearer’s foot dry the entire time that the shoe is worn. For this reason, Fila has made it a habit to place this material in several of their shoes. Trail shoes must be able to provide wearer’ with ample cushioning, protection, and flexibility while the shoe is on foot. The shoes that are designed with this type of outsole are thicker and more durable than those shoes that aren’t. Dynamic Landing system (or DLS) makes good use of both rubber and foam in the creation of the outsole. Rubber is placed in the high friction areas of the shoe to prevent the wearer from dealing with degradation of the shoe’s grip. In addition to this, the sole unit of this shoe also has the exposed foam in the areas that deal with less than average amounts of activity. When it comes to ascertaining the comfort of a shoe, it's important to look at each part of the shoe and the role those parts play, as well as the materials used and the overall fit. Let's take a look at each of these in more detail. While materials are an important factor in the entire shoe, let's focus on the upper. Many differernt materials can be used for the upper of a shoe, such as canvas, mesh, and leather. In fact, these are the three most common materials used, and you'll find that on our list we've included a range of different materials. Each type of material has its own pros and cons. Canvas and mesh are great for breathability and flexibility, but don't offer any native waterproofing and sometimes have limited long term durability. Leather is naturally water-resistant and is one of the most durable materials used in the upper of a shoe, but breathability is limited and the break-in period for leather can be much longer. Figure out what's important to you in terms of your needs, and choose materials based on that. The sole of a shoe is actually composed of three parts, aply named the insole, midsole, and outsole. The insole is what makes direct contact with your foot and provides most of the cushioning. These can be made from either fabric, memory foam, EVA foam, or a combination thereof. The midsole is the "heart" of a shoe; it works with the outsole to promote energy transfer and protect your feet from hard or sharp objects, and it also works with the insole to provide support and cushioning. EVA foam is the most common material used in the midsole. The outsole is what actually makes contact with the ground. This is where your traction and shock absorption come from, as well as durability and waterproofing to a certain extent. In regards to comfort, it's iimportant that all of the parts of a sole work well for your unique feet and what you plan on wearing them for, be it for work or just a casual shoe. Most of us know our shoe size. We also know that sizing conventions can vary from brand to brand and even product to product. Further still, we also know that our shoe size doesn't tell the whole story. As an example, two people could be the same number size, but one will have higher arches than the other. The best way to get an exact determination of fit is to actually put the shoes on your feet. Walk around a little in them, wiggle your toes to make sure there's enough room in the front of the shoe. Let your comfort be your guide, and look at consumer reviews to get an idea of the real-world experiences of others. Some shoes will need to be broken-in in order to be fully comfortable. This process can take some time, so be patient. If you take another look at the products on our list, you'll notice that we went over the cost and value for each one. When we determine the value of a shoe, we take into consideration its price, different factors of the shoe (comfort, durability, fit, etc), and compare them to other shoes that are similarly priced. This is something that we feel is very important to discuss, and for some people it can be the determining factor in a purchase. From a consumer standpoint, one of the best ways to gauge value is this; what sort of benefits do you get out of the shoe, and do they outweigh any potential cons? These same questions can be asked in regards to the value in almost everything, from computers, to a car, to even video games. Perhaps you find a shoe that doesn't come in a wide range of color options, but it's very comfortable. Or you find a shoe that takes a while to break in, but is incredibly durable. Value is subjective; what one person considers to be important may not be such for another person. Maybe you prioritize durability, even if the color options are underwhelming. Or you want something with a removeable insole, and don't mind if the breathability of the shoe is limited. Think about what is most important to you, and go from there. While most Fila shoes can be easily wiped down with soap and water to remove dirt and stains, always check the manufacturer's instructions before cleaning your shoes. To help prevent colors from fading, store your shoes in a cool dry place, away from direct sunlight. Fila was created over 100 years ago, in 1911, and originally manufactured apparel for those individuals located in the Italian Alps. You could do one of a few things . You could buy a protective spray to keep materials from even clinging to the shoe in the first place or, you could just use a damp cloth and some soap every so often to spot clean the shoes. Nowadays there are even whole kits that are designed for individuals who are seeking to clean their shoes. q: Will running shoes make you faster? I wouldn’t say that running shoes make you faster but they can improve the ability that you already have. Depending on the way that the shoe is structured and the features that are present within the shoe design, it is completely possible for a shoe to provide wearers with improved transitions(which can “make you faster”) and energy return. Definitely, depending on the level of cushioning present in the shoe’s design. The more cushioning present in the sole unit the easier it will be for the shoe to provide the wearer with comfort while walking. For instance, shoes that are designed for sprints may not give the wearer the cushioned feel that they’d want when walking. On the other hand, some shoes that are meant for long distance runs tend to have more cushioning and thus, can provide wearers with a bit more comfort during their use.